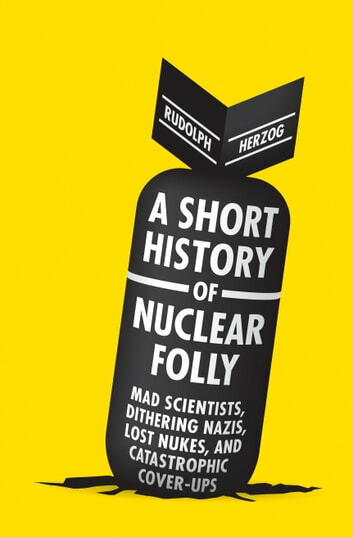 Rudolph Herzog, the acclaimed author of Dead Funny, presents a devastating account of history’s most irresponsible uses of nuclear technology. From the rarely-discussed nightmare of “Broken Arrows” (40 nuclear weapons lost during the Cold War) to “Operation Plowshare” (a proposal to use nuclear bombs for large engineering projects, such as a the construction of a second Panama Canal using 300 H-Bombs), Herzog focuses in on long-forgotten nuclear projects that nearly led to disaster. In an unprecedented people’s history, Herzog digs deep into archives, interviews nuclear scientists, and collects dozens of rare photos. 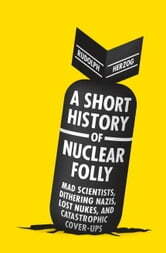 He explores the “accidental” drop of a Nagasaki-type bomb on a train conductor’s home, the implanting of plutonium into patients’ hearts, and the invention of wild tactical nukes, including weapons designed to kill enemy astronauts. Told in a riveting narrative voice, Herzog—the son of filmmaker Werner Herzog—also draws on childhood memories of the final period of the Cold War in Germany, the country once seen as the nuclear battleground for NATO and the Warsaw Pact countries, and discusses evidence that Nazi scientists knew how to make atomic weaponry . . . and chose not to. The Mind Crisis: How Media Broadcasts Attack And Manipulate The Public Mind? The Atomic Bomb: A History Just For Kids!